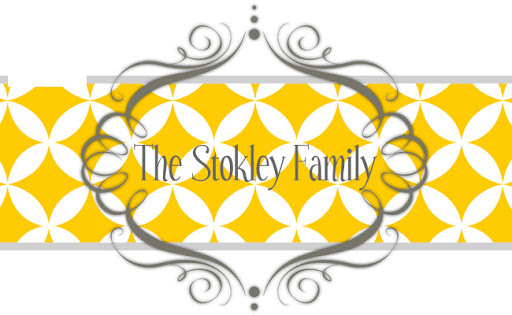 The Stokley Family: Birthday and Mardi Gras! Our Linda Lou turned 30 this past week!!! We had a "surprise" party for her at Sam Miguel. I didn't take very many pictures but here is one of me and Blake and then the birthday girl with her awesome cake! Saturday we made a day of going to the first Mardi Gras parade in DI. We went over early and stayed way after. We walked around and grilled out and played games. It was such a fun day!! Now we are watching the Super Bowl and getting ready for the week ahead!